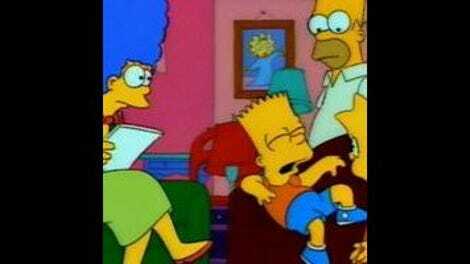 The Simpsons (Classic): "Bart Gets an F"
Well friends, we have made it past the harrowing gauntlet of hilarity and awesomeness that was the first season of The Simpsons and have arrived at the season premiere of the second season. The first season was slicker and smoother than I remembered. It was less of a dress rehearsal and more of a command performance. The show would evolve tremendously over the course of its glory years, but it didn’t have to raise to the level of greatness. It was great from the beginning; at its best, it attained, on a seemingly weekly basis, perfection. It established a comic ideal its myriad creative progeny could aspire to but never achieve. Yes, The Simpsons has reached rarified heights, but its second season opens on a relatively modest note. The episode begins with Martin Prince delivering a scarily committed impersonation of Ernest Hemingway in full-on Old Man in the Sea/papa mode, lustily discoursing on how “to make love to a woman” and other prerequisites of manhood. 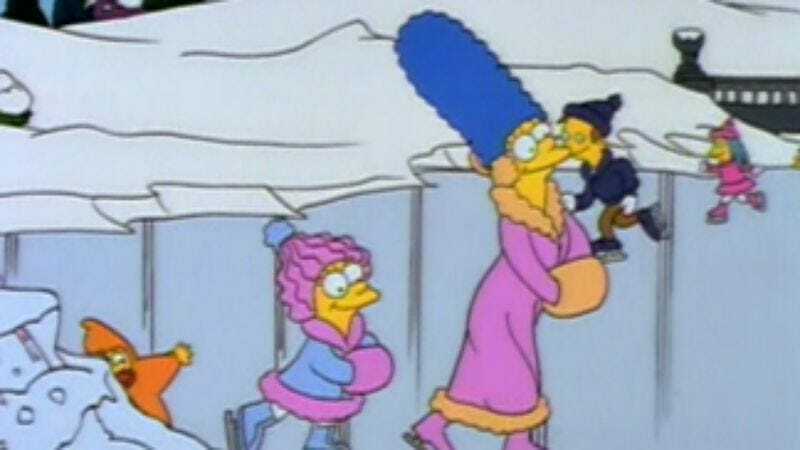 In its first season, The Simpsons focused on family but in the second season it became an exploration of a community that doubles as a microcosm of American society. It did this in part by delving deep into its absurdly rich supporting cast and dedicating episodes to seemingly minor figures. In this case, the minor figure in question is Martin Prince. In a lesser show, Martin Prince would have been the token geek. Ah, but in the universe of The Simpsons there’s no such thing as an average geek. On the contrary, The Simpsons explores the infinite colors and variety of the mighty geek rainbow. Martin represents the quintessential egghead Poindexter, an effete, theatrical little ham intoxicated by the sound of his own mincing voice. Then there’s Milhouse, a nerd who lacks the intellectual capacity and gravitas to be a proper Martin Prince-style geek. Professor Frink embodies the Jerry Lewis Nutty Professor archetype while the Comic Book Guy has come to personify a distinct sub-category of geekdom; the sourly sarcastic science-fiction/comic book/fantasy snob. And I haven’t even discussed Database, Principal Skinner, the college geeks Homer roomed with, or the beatific, otherworldly, almost dadaistic super-geekdom of Ralph Wiggum. I suspect The Simpsons boasts such an impressive array of geeks, dweebs, nerds, poindexters, doofuses and socially maladjusted malcontents is because so much of its audience and creative staff are unapologetic geeks. The show spoke the language of geek culture with a proficiency and insight unparalleled until Matt Groening unleashed the even more geek-friendly Futurama. Ah, but we are getting away from the topic at hand. In today’s episode, the redundantly titled “Bart Gets an F”, the titular haughty underachiever receives a grim academic wake-up call when Miss Krabappel threatens to fail him unless he straightens up and flies right. In desperation, Bart makes Martin a Faustian bargain; if he helps him study for the test, Bart will help him make friends and influence the playground. I left today’s episode with a renewed appreciation of Martin Prince, one of the show’s most overlooked and underrated characters. On “Bart Gets an F” he really comes into his own, whether an overwhelmed Miss Krabappel is gushing of Prince’s one-man show, “There were moments I truly believed you were Hemingway. Bravo, Martin!” or Martin is expressing open-mouthed shock and horror that “my years of service as a hall monitors” and “my award-winning dioramas!” somehow did not lead to runaway popularity. I love that Martin is shocked to discover that he’s not popular; it’s such a neat inversion of the usual geek paradigm. That’s what makes Martin such a great character; he’s a cocky geek. In his mind, he’s a stud and a golden boy; it’s not his fault if the rest of the world doesn’t recognize his genius. I also love how much joy Martin seems to derive both from his own intellect and his shenanigans. For example, after Bart introduces Martin to the dark side and paves the way for him to become a blow-dried phony, he enthuses about his new attitude/persona with an almost unseemly glee; causing mischief gives him a sensual, orgasmic glee. In an unpretentious way, “Bart Gets an F” explored issues of spirituality, morality and determination with sneaky sensitivity while delivering steady laughs and a few hilarious fantasy sequences, including one where the founding fathers go snow-crazy. On the basis of this episode, I have a pretty strong feeling about the second season of The Simpsons. I think it could be good. —All sleds should be emblazoned with the words, "Don't sled on me"
—"I've never felt so alive"
—A Martin Princeism I use on an almost daily basis, "Your appearance is comical to me!" —"Is this a book report or a witch hunt!?"